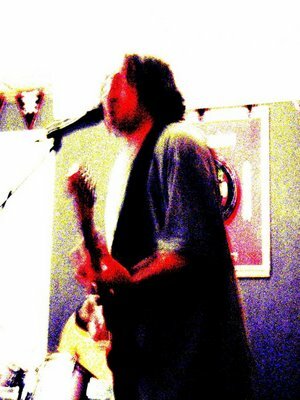 Well, I'm Andy Toomey, AKA AndyT13, guitarist, vocalist and chief navigator of this barely controlled mayhem. I gave up trying to maintain any sort of bio for the band because the players change so often. Musicians are all in at least 3 bands to pay the rent so nobody is consistently free. I often have Russ Dibona or Felipe Torres (of The Monkees) in the drum chair. On bass I usually have Mike "The Bass Guy" Cohen or "Fuzzy" Rob Bunting. Previous rhythm sections: Chris Hunter and Ray LaBella, Ric LuBell and Pete Roan (who play on the CD). Rob, Rob, Rob, and Rob, Roy and Pete...man, the list goes on. Big love and great thanks to all participants past present and future. The links below are for audio from my other musical ventures. Enjoy! The Gearjammers Band are my main musical outlet these days. I play 6 string and sing. We do everything from Aerosmith to Z.Z.Top as well as originals with a Patented Texas Twang. Our new record "You Don't Say?" is due soon. Flood: My first CD @ CD baby! AndyT13: My solo stuff, demos and songs from my other CDs. Classical: My classical guitar stylings. Bonomania! My U2 Tribute band. Wearing and Tearing and Custard Pie The Led Zeppelin tributes I play drums in.